Santiago was born in April of 1990 in Argentina, Capital Federal. Its an important date to mention because despite his young age, he is already recognized as one of the best producers of his country. Driven by an incessant thriving search of the perfect sound, Santiago finds his deepest influences in artists such as Gorillaz, Depeche Mode, Gustavo Cerati, and others. His strong passion for music made possible for his productions to shine through with the same quality, his tracks feature hypnotic hook line with deep pulsating rhythms at the order of the day. He had presentations in the best clubs and events of his country like Crobar, Pacha, The Bow, but also had his first international tour at the age of 21 in Mexico. These days you can find Santiago showcasing his material of work in Ibiza Global Radio and Frisky Radio, and getting his own Radio Show on Frisky called "Involved". Evidently, his main motivation is the creation of music. His sound, extremely hard to describe, would be considered as a fine blend between deep house, techno and progressive house genres. 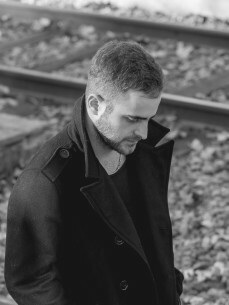 He has release in labels like Sudam, Toolroom, microCastle, Renaissance, among others.